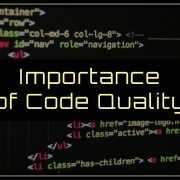 The focus is on quality and timely deliveries, the two main factors that decide whether a software outsourcing company can sustain itself or fade away into the background. However, most of the successful companies employ experts in platforms such as Windows, SQL, Server, Azure and are adept at using various design tools like visual studio, Expression blend, Team foundation server etc. Working with development frameworks like .NET, ASP.NWT, WCF, WPF or Silverlight has become second nature with teams working in such software outsourcing companies located in India and they can efficiently design large CRM and ERP systems related to MS Dynamics family CRM, AX or Axapta or Navision (NAV). So much so that small, medium and large enterprises outsource all their requirements for web and desktop .NET applications to these offshore companies as they are confident that they can handle complex, multiplatform enterprise solutions with consummate ease, delivering world-class solutions well within the expected turnaround time. This is possible because of the dedicated teams that are highly skilled and well qualified in their domains. 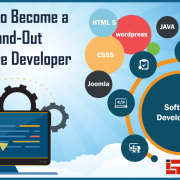 Most of these experts are industry-certified and are recognized and respected globally for their skill and expertise in providing efficient .NET development services to a wide range of clientele located in far-flung areas of the globe. An established software outsourcing company like Infognana has the wherewithal and capability to undertake very advanced internet applications in .NET and can offer custom ASP.NET web development services as well as .NET enterprise solutions that are tailor-made to suit customers’ needs. The company takes up complex ASP.NET projects with confidence as it has the experience to offer full service ASP.NET services as per customers’ requirements. Microsoft dynamics CRM, AJAX, ASP.NET and MVC are other areas that the company is well-versed in apart from ASP.NET migration services as well as Dynamic Data. The teams have enough experience to competently handle .NET application of high complexity. Offering full service .NET services to a wide range of clients the companies take up complex business analyses along with high level management that is required to support and maintain such projects. Exceeding expectations is a way of life with such an experienced software outsourcing company like Infognana which is adept at building efficient and reliable solutions at costs that will surprise most of the small, medium and large enterprises who are used to outsourcing most of their needs to such select companies located in India. With a range of projects already successfully executed and the rich experience to go by, these companies boast of satisfied customers who always come back offering their future projects, which they know very well will be in competent hands.